Today’s “Card of the Day” features quite a strong Dudley Quinted Wall that could fuel your soul for Miracle Ace turns! [AUTO]:[Soul-Blast 2-card with “Dudley” in its card name] When this unit is placed on (GC) from hand, you may pay the cost. 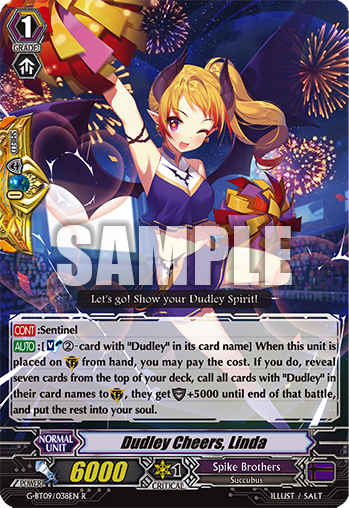 If you do, reveal seven cards from the top of your deck, call all cards with “Dudley” in their card names to (GC), they get [Shield] +5000 until end of that battle, and put the rest into your soul.